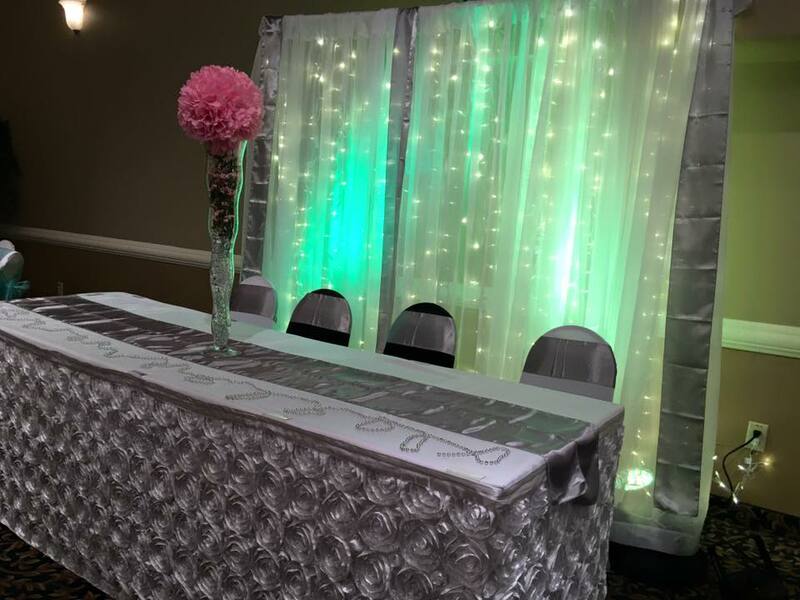 Our standard wedding backdrop kit is a easy way to have a spectacular backdrop for your wedding or event. Available in 8' sections that extend to 16' high and 16' wide. Full Color Spectrum $50.00 ea. 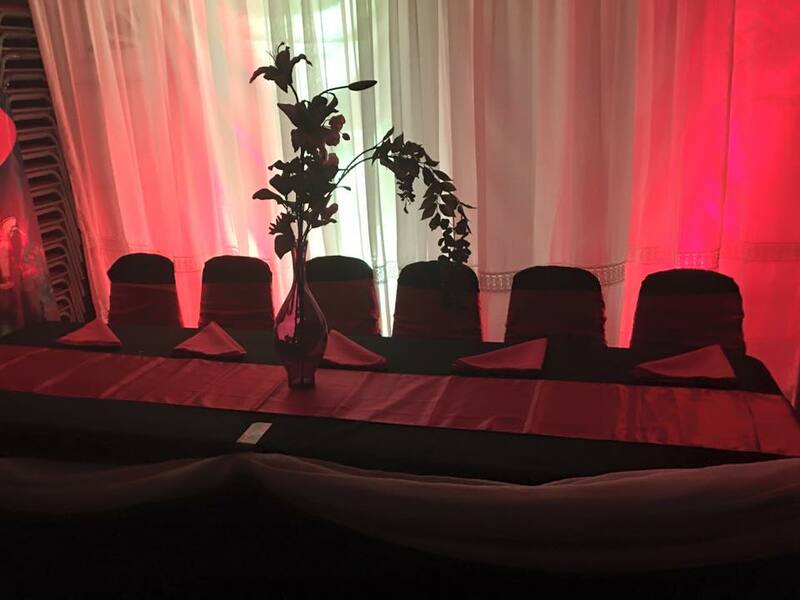 Please call us for any questions on our backdrops decorative rentals.